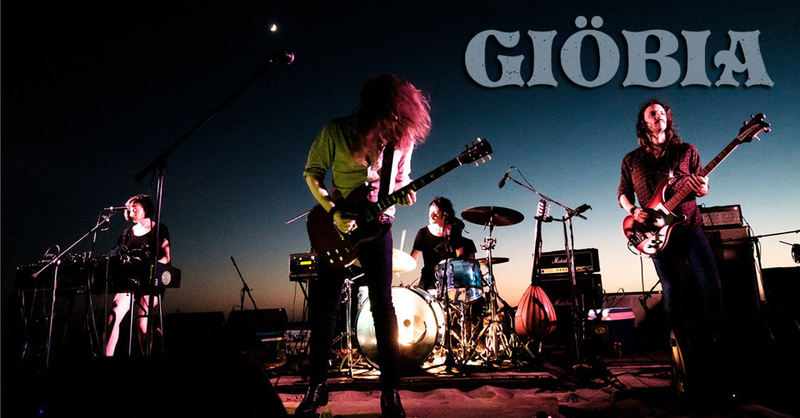 Giöbia has been one of the most influential psychedelic bands in Italy over the last years. Seduced by the lysergic side of the ‘60s, by exotic mantras and the evocative power of space-rock, Giöbia is a band from Milano, Italy with many facets and one only faith, that is to turn every encounter with sound into a psychedelic experience. The band counts four members: leader Bazu (vocals and string instruments), Saffo (organ, violin, vocals), Detrji (bass) and Betta (drums) and their name – Giöbia – comes from an ancient pre-christian festivity celebrated in Northern Italy when a big straw puppet resembling a witch is burnt as a propitiatory ritual towards the forces of nature. Fugitive released its first record independendtly and digitally in 2010, which has been supported by various mini tours in support of Russian Circles, City of Ships, Caspian, The Secret, Lento and many others. 2012 saw Fugitive having the honour to play Duna Jam Festival.